distribution Essentially statewide, though possibly absent in the eastern Tidewater Region. Presumably absent on the Outer Banks. abundance Common to locally very common in the Piedmont and western Coastal Plain, particularly around flowing water in the Piedmont. Fairly common to locally common in the mountains and the central and southern Coastal Plain. Rare in the northeastern and far eastern Coastal Plain, and probably absent near the coast there. flight Mid-May through late October in the Piedmont, and early or mid-May to early October in the Coastal Plain. The flight in the mountains is from mid-May at least to mid-September (and likely later). habitat Favors rivers and large streams, but can be found away from water. Also occurs around lake and pond margins. behavior Prefers open areas with sunlight, using rocks, ground, or available vegetation. 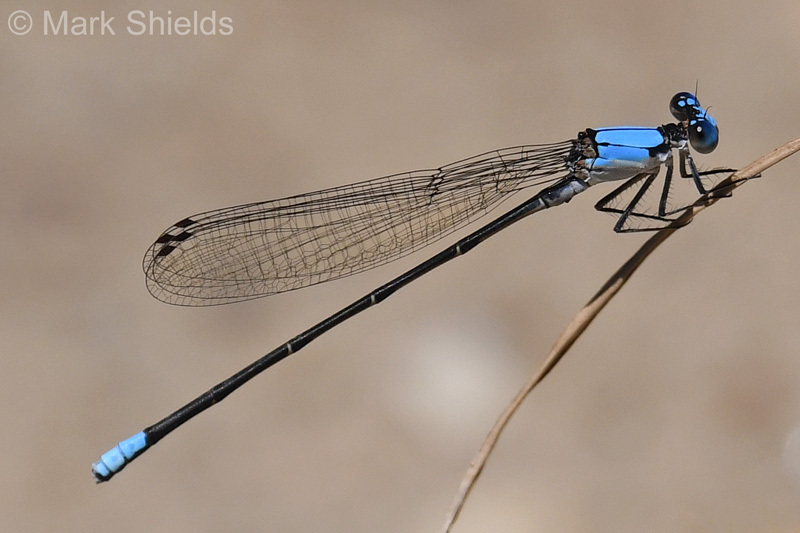 comments This is one of our most common and widespread damselflies, except near the northeastern coastal areas. There are several one-day counts of at least 50 individuals, all from the lower Piedmont.